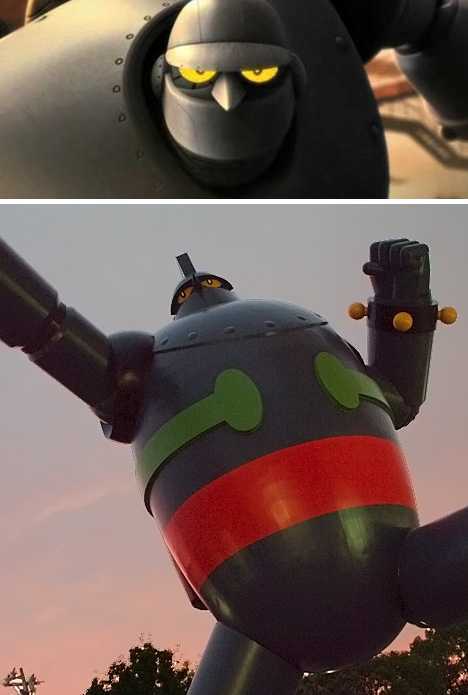 The big day finally arrived on Sunday October 4th. 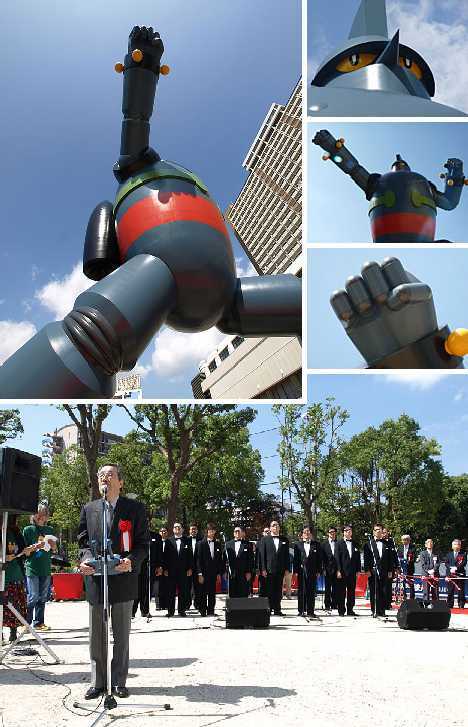 Builders, luminaries, entertainers, fans and ordinary citizens assembled for a gala ribbon-cutting ceremony. 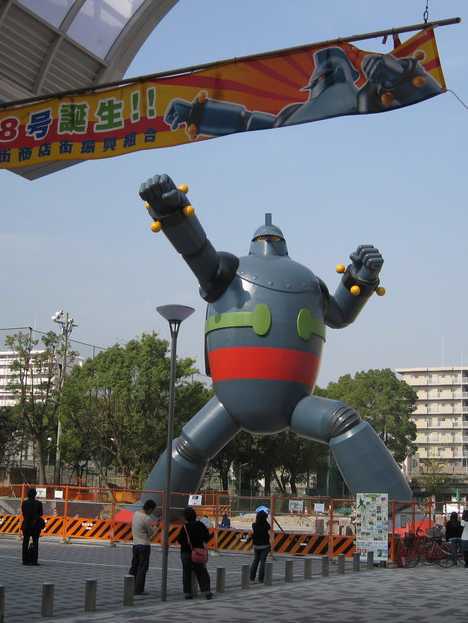 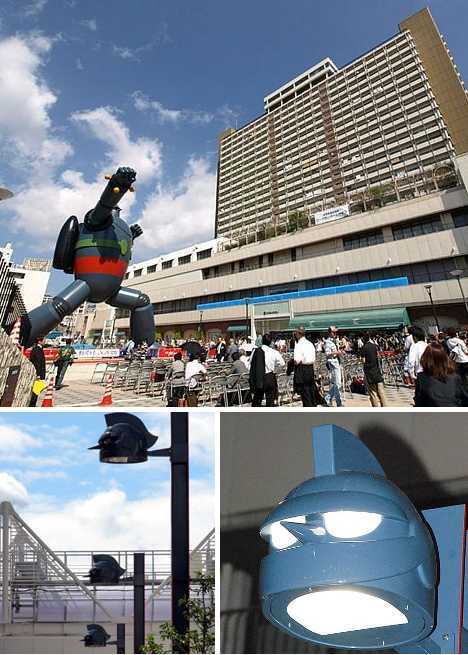 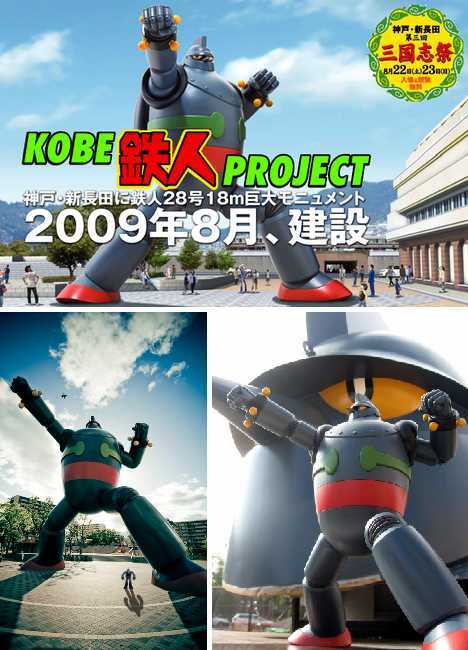 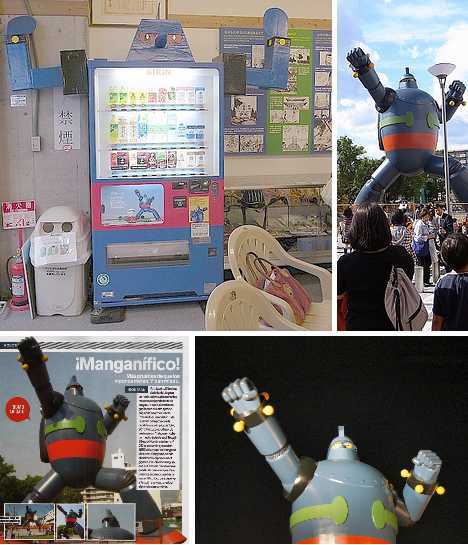 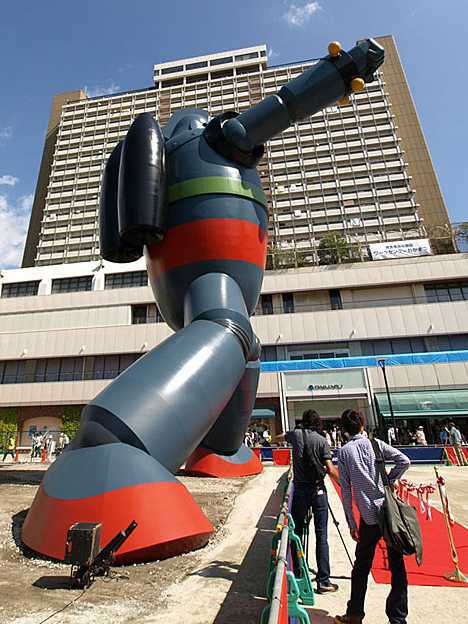 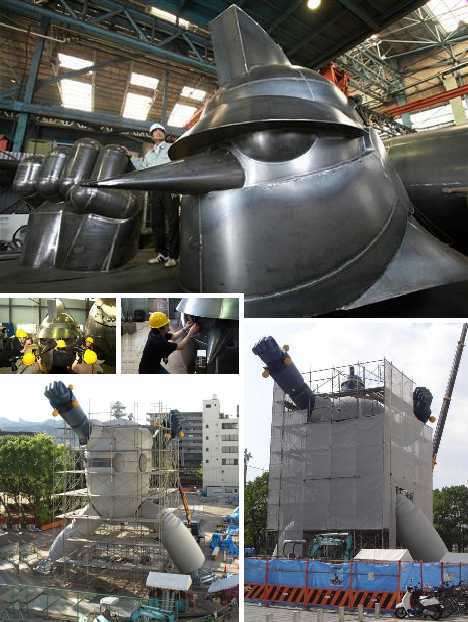 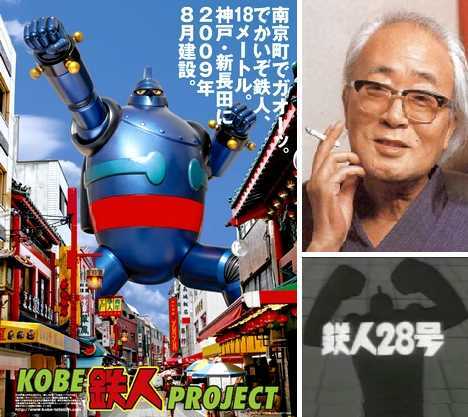 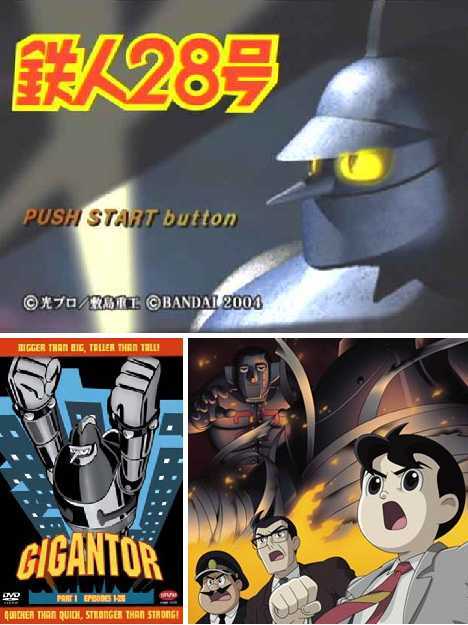 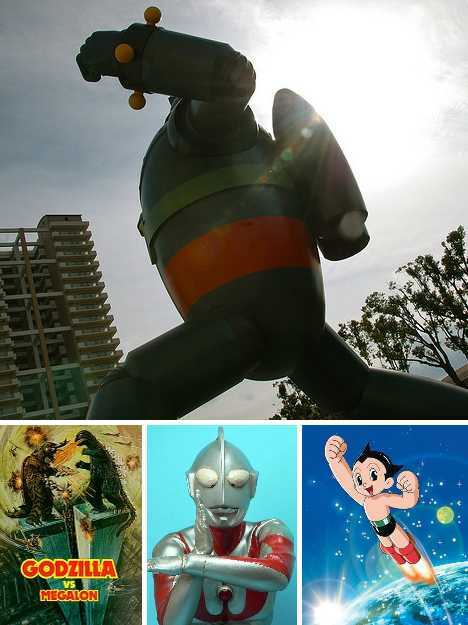 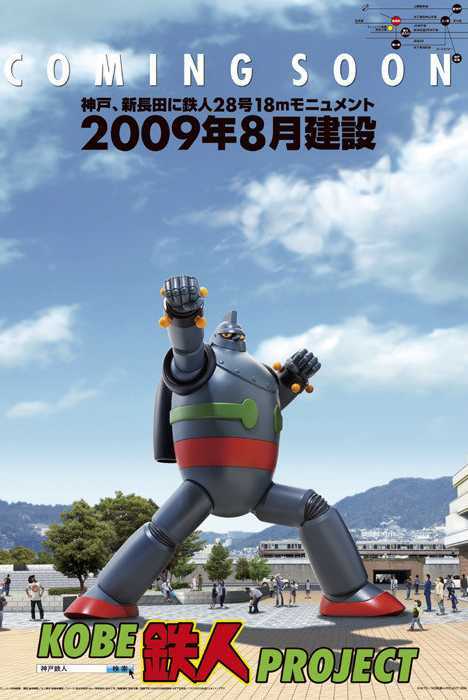 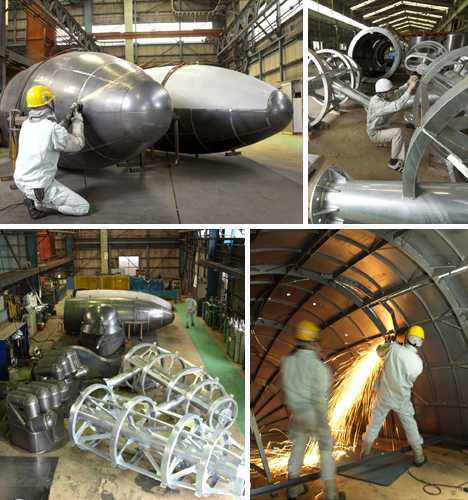 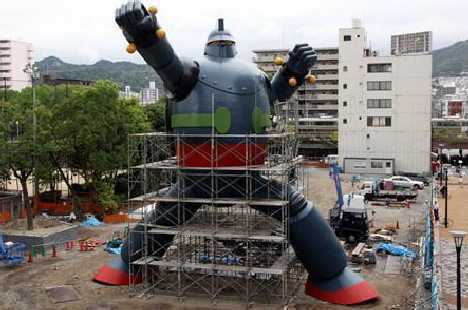 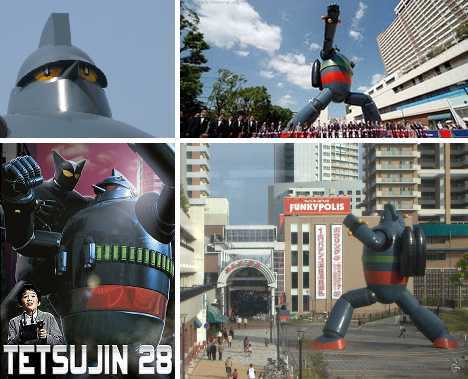 The climactic moment occurred when 78-year-old voice actor Minoru Yada, who spoke for Tetsujin 28′s fictional inventor Dr. Shikishima in the original TV series, shouted out “Tetsujin-28-go!” while holding a mockup of the robot’s remote control operated by Shoutarou Kaneda (Jimmy Sparks).